During the July of 2009 most of the Baseball leagues in Europe make a break for international tournaments. One of these takes place in Rouen, France. 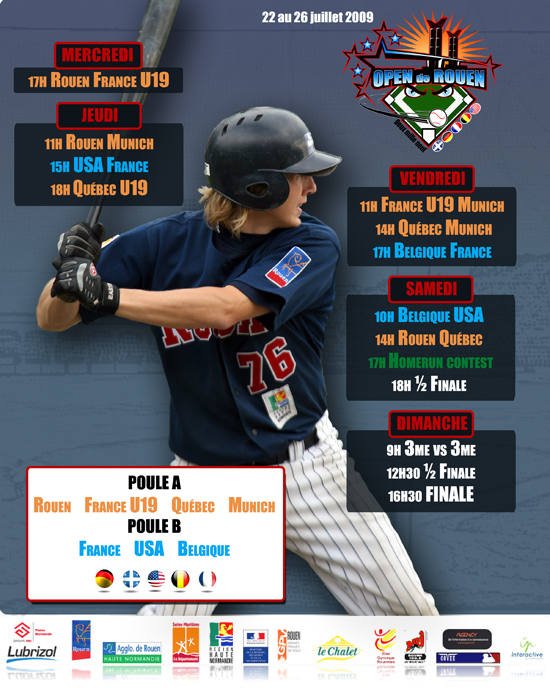 The Elite League club ROUEN HUSKIES organizes the first edition of the Open de Rouen with seven teams from five different countries. It takes place from July 22 to 26. The German Baseball-Bundesliga club GAUTING INDIANS confirmed their participation last week to set the playing field.